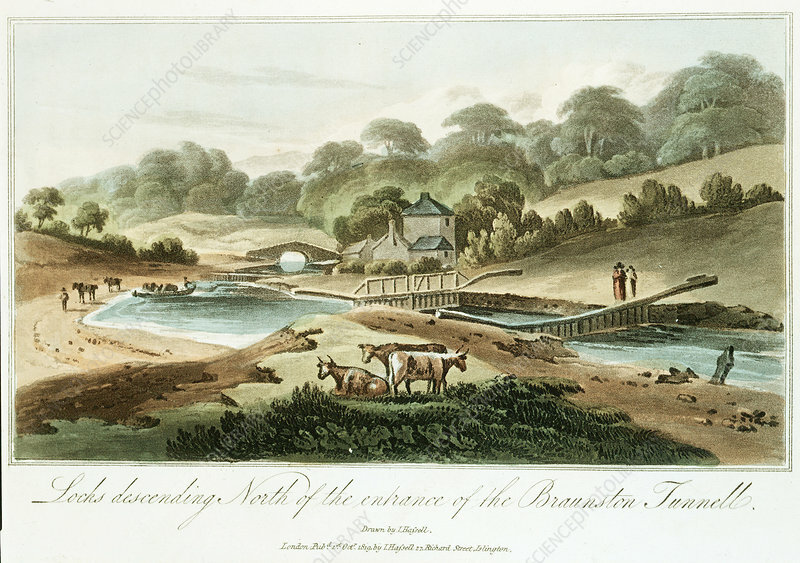 Grand Junction Canal, Northampstonshire, 1819. Pound locks descending to north entrance of the Braunston tunnel, Northampstonshire. Chief engineer, William Jessop: Resident engineer, James Barnes. Part of network linking London with Midlands manufacturing towns, and with Liverpool.